WrestleMania can define a legacy, and yours is about to be written. The greatest spectacle in sports-entertainment comes to Xbox with WWE WrestleMania 21. The WWE experience has never been more lifelike with Superstar voice-over and commentary, an all-new proreversal system and motion capture technology, making this the most realistic looking grappler to date. Create the ultimate Superstar and watch him evolve as you earn new move-sets, costumes and abilities in your quest for the WWE Heavyweight Championship. 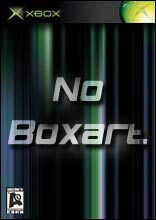 Build the perfect championship belt and defend it on Xbox Live while gaining prestige with each victory you claim, or take on four of your friends in head-to-head competition online. WrestleMania 21 will immortalize your legacy forever. How will you become a Legend? Tao Feng: Fist of the Lotus is the perfect blend of fighting realism and stunning special effects. 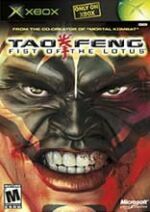 Tao Feng: Fist of the Lotus delivers a classic battle between good and evil as two ancient Chinese clans of superfighters, each seeking to uncover the ..